The Jan 30, 2016 attack on Dalori bears hallmarks of BH’s start of year extinction-level type attacks over the years. 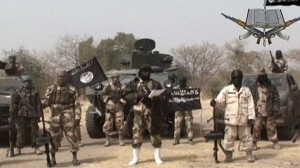 Although Boko Haram’s first terror attack was on Christmas Eve, 2003, this marked the official launch of Boko Haram’s final solution putsch to the issue of infidels in Nigeria. This was the formal announcement but not the commencement of the jihadi genocide. On Jan 20, Boko Haram unleashed a multi-front assault on the largest northern city of Kano. In addition to bombings, terrorists at check points asked motorists their religious affiliation and summarily executed non-Muslims. Over 200 people were slain – the Kano Massacre was the highest single day fatality in any global conflict until the Syrian civil war caught up later that summer. By the end of 2012, more Christians had been killed in northern Nigeria than the rest of the world combined. This was a record in the history of persecution data collation. In January 2015, Boko Haram perpetrated another extinction level attack on the town of Baga leaving an estimated 2000 residents dead. The Baga Massacre is the worst terror attack after the September 11, 2001 attacks on New York which also recorded quadruple digit casualties. Boko Haram attacks in 2014 resulted in a 300% increase in terrorism in Nigeria – again a record in the history of terrorism data collation. The Baga Massacre which claimed 2000 lives in one incident (exceeding Boko Haram’s total kills for the entire year of 2012) puts Boko Haram in line to again set a record for exponentially increased kills in 2015. The January 30th 2016 Dalori Massacre also targeted camps for Internally Displaced Persons who had fled areas overrun by Boko Haram. Curiously, Boko Haram had on September 11, 2015 bombed an IDP camp for refugees recently returned from neighboring Cameroun. That camp had previously hosted hundreds of women and children rescued by the Nigerian army from terrorist captivity whom our EMC relief team visited. The recent attack is a continuation of a new tactic of striking already vulnerable populations in their places of refuge. Three days before the Dalori Massacre, Boko Haram bombed the beleaguered town of Chibok using multiple suicide bombers. Chibok, made famous by the notorious abduction of almost 300 schoolgirls in 2014, has now been attacked multiple times since then. Thanks to an improved military presence and swift intervention, the casualties were lower. However the combined three day total between the Chibok and Dalori attacks exceeds 100 lives lost. While the net deaths in January 2016 is less than the deaths in January 2015, it does not reflect a significant downgrading of Boko Haram’s lethality. Indeed during this same period, Boko Haram also bombed the neighboring country of Cameroun also with fatalities. Boko Haram has been effectively engaging in a coordinated regional insurgency affecting four West African countries – an operational footprint that rivals its Mideast ally, ISIS. Today, BH is still deploying, with deadly efficacy, female suicide bombers. Between June 2014 when the first female suicide bomber detonated in Nigeria and the end of 2015, over 70 females, including 10 year old girls were used as suicide bombers. This number in an 18-month period exceeds, global world totals going back about a decade – arguably the worst thing happening to women on the planet today. Part of our humanitarian interventions to mitigate the Boko Haram genocide is exfiltration of vulnerable young victims and placement in safe schools under our Education Must Continue Initiative. Of 14 Chibok school girls now in the US, at least half lost relatives in 2015. A random poll of a number of girls in our US program indicates that three girls lost people they knew in last week’s bombing. Two Escaped Chibok schoolgirls lost their relative who had gone to the recently re-opened market, ironically to purchase medicine, when one of the bombers detonated their IED. Although he didn’t die instantly, when he was being conveyed out of state to a hospital with a resident doctor, he died leaving behind a wife and children. In a positive program update, one of the Escaped Chibok Schoolgirls today, February 1, 2016 commenced college in the United States. After a series of delays including funding and then the snow blizzard, she was finally able to begin classes this afternoon. Dela is the first Chibok schoolgirl globally to attain this college level placement after their harrowing abduction over 656 days ago. This courageous teen, who jumped out of a Boko Haram truck and carried her injured friend through Sambisa forest to safety incidentally, is amongst those who lost a parent in 2015. She had been in two different schools attacked by Boko Haram in 2013 and 2014. Her return to school for the third and fourth time against all odds is an inspiration to many. She is joining two other victims of persecution in EMC’s new Escaped Schoolgirl College Abroad Program for Empowerment (ESCAPE.) Zee, our latest arrival, was shot in the head as the terrorists executed her father, a pastor, in cold blood in their home. Since then, she has narrowly escaped several other attacks including a bombing that took the lives of some schoolmates last June hours after our team visited. She flew to the US in September unable to pick her belongings as the terrorists had besieged her hometown at that time. Despite the multiplying tragedies in Nigeria, we are inspired by the modern day profiles of courage exemplified in our ESCAPE Scholars. Helen Keller once reminded us that “Although the world is full of suffering, it is also full of the overcoming of it.” Accordingly, these inspiring young women who have escaped the destruction of terrorism inspire us all to assist with practical solutions to this travesty. We urge the Nigerian Government not to close down IDP camps as planned but rather improve security, safety and sanitation. We urge the USA to stop blocking the visas of escaped Chibok schoolgirls with approved scholarships to schools in the US and to approve US resettlement for refugees. We urge the UN and WHO to pay for their own staff furniture in Nigeria so that the government of Nigeria can redirect its funds to victim care for the citizens. We urge the UN to reimburse Nigeria for the $30 million spent on repairing its offices bombed by Boko Haram. We urge the international community to provide urgent assistance to enable the 20,000 UN estimated lost but found kids to trace and be reunified with their families. Contact: Emmanuel Ogebe, Special Counsel Justice for Jos Project at [email protected] . Phone 571-2936362. The Justice for Jos Project monitors & fosters legal responses and interventions to end impunity & seek resolutions within the ambit of the rule of law. J4J is the humanitarian pro bono initiative of the US Nigeria law Group.